I really like that with potential teachers you are sharing the goal and expectations I Think this well help you to really find teachers who will help develop a culture of Innovation and will create staff buy in which will lead to student buy in and parent buy in. 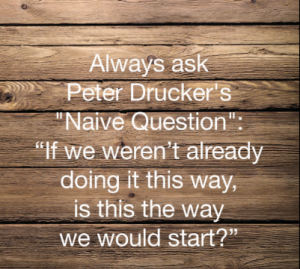 I can relate to this… Starting a new is great but make sure you introduce change slowly. The drive to do everything at once is attracting because you have the knowledge but you need your followers on board and making sure they follow you and understand where you are going…. I am sure the culture and community you create in the new will push thinking and learning for teachers, students and their families. Dream school with a dream staff – sounds pretty awesome to me! Being the conductor of the process will be quite an adventure – Enjoy the journey Sue!